Do you use Evernote, or know people who do? Have you heard things like, "Evernote changed my life!" Or, "My entire brain is in Evernote!" Or have you heard others say "I downloaded Evernote but then I didn't know what to do next!" "Or, "I use other note apps, or paper, instead. What's all the fuss about Evernote?" 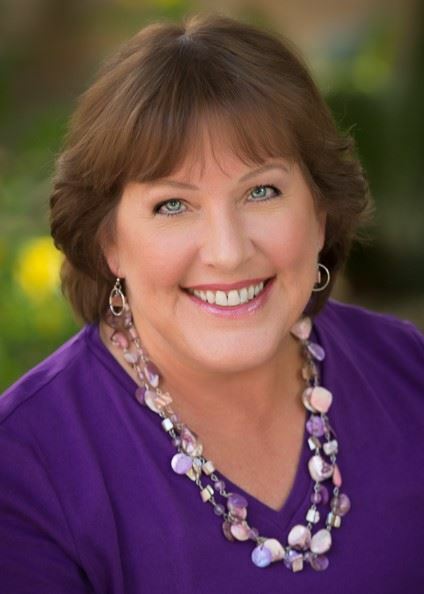 Carol Jones of A Jones For Organizing specializes in helping her residential clients with closet design, kitchen efficiency, garage organization, and paper management. She has been using Evernote since 2009 and relies on it for just about everything in her life. 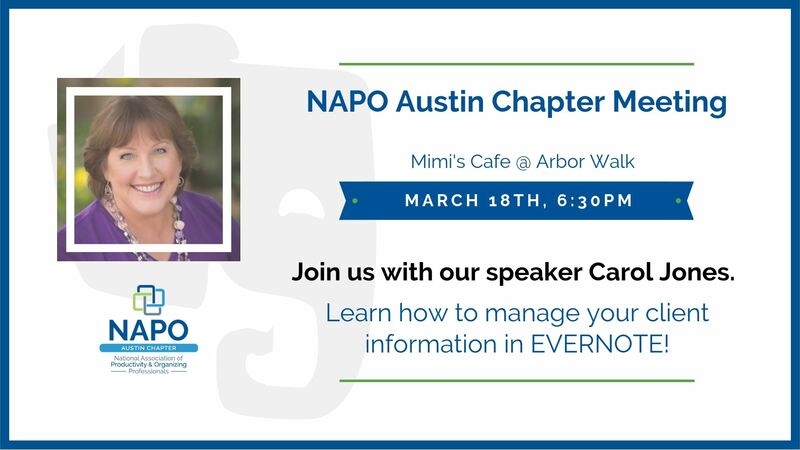 Carol is the Membership Director of the NAPO Austin chapter.